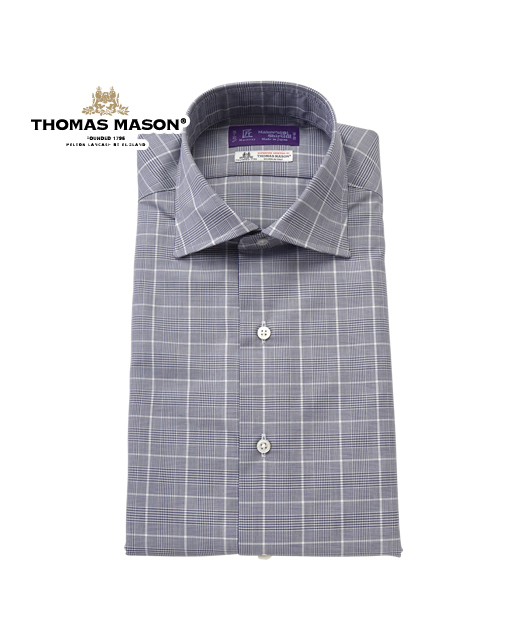 This collection is a collaboration between world-famous English fabric brand, Thomas Mason, and the mastery of Japanese craftsmanship. 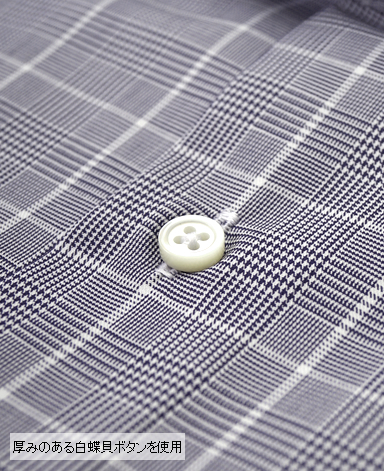 - Thread shanks for buttons: Thread shanks are used for the top button and cuff buttons. 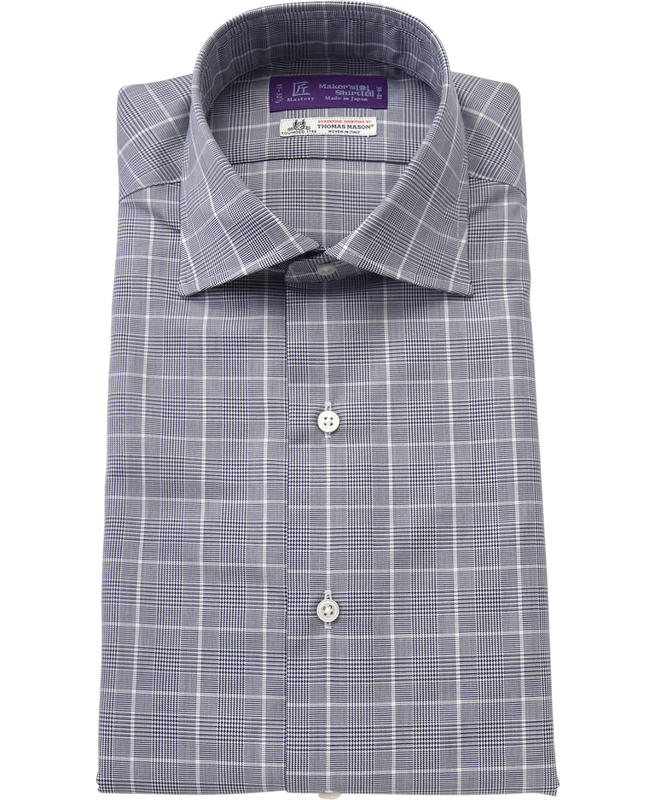 A smaller top button is used to reduce pressure felt against the neck. - Sleeve pleats: The multiple pleats prevent the sleeves from twisting. - Mother of pearl buttons: As their natural shine is of the highest quality, mother of pearl buttons are only used on the finest of shirts. - Bias-cut gussets: Gussets cut at a 45-degree angle stretch in order to allow movement. - Narrow hem and seams: To achieve the most elegant look and feel, the hems and seams are just 2mm. 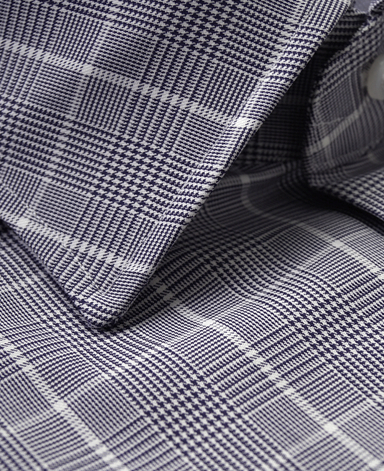 - Diagonally sewn hem: The hem along the placket is sewn diagonally to reduce the discomfort of loose fabric.